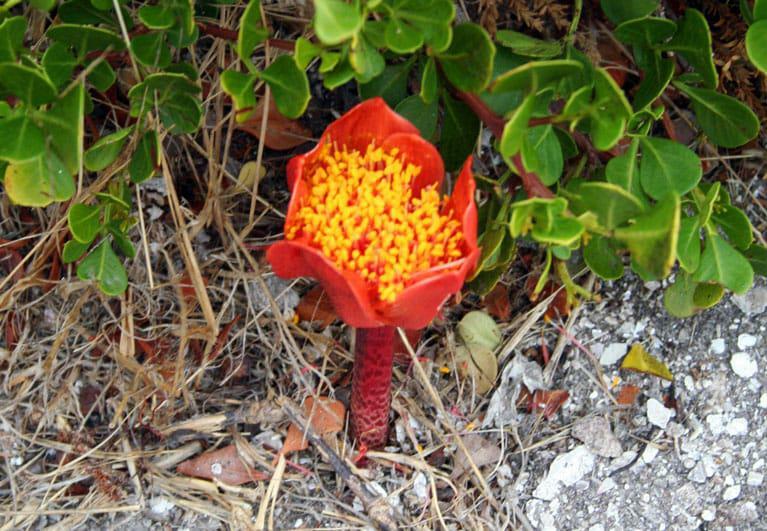 On one of the walks at Betty’s Bay we came across this striking red flower growing straight out of the ground … It was in a patch of coastal scrub and seemed so out of place. I had to touch it to check that it was real because it looked almost plastic like. Nature is always so suprising and beautiful. I WISH I had a macro lens becuase then the clarity would be 100 times better. How many wishes does it take till it comes true? Oh well. This entry was posted in Blog and tagged Betty's bay, macro lens, Red flower. Wow…this is a wonderful and interesting flower!I have never see such flower before.Really nice!Looks like a plastic flower! I wonder if it is not what I know as a “Royal Paintbrush” We have quite a few of these striking indigenous flowers in our garden here in KZN! Best investment ever, a macro lens. I’m over the moon with mine. Since I bought it about 3 yrs ago, I think I’ve taken a million pics of flowers and bugs and all sort of small things or things with great detail and texture. Fun fun. At Flickr I’m the flower woman… always full of macros… you will not regret it.